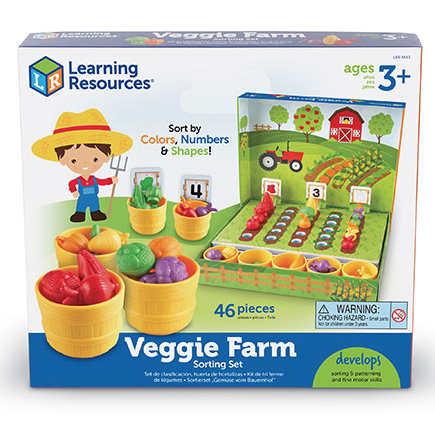 This high quality playset encourages the development of colour recognition, matching, sorting, and early counting skills against the backdrop of a brightly illustrated farm. Realistic plastic vegetable figures represent common vegetables including broccoli, corn, onions, pumpkins, and more. 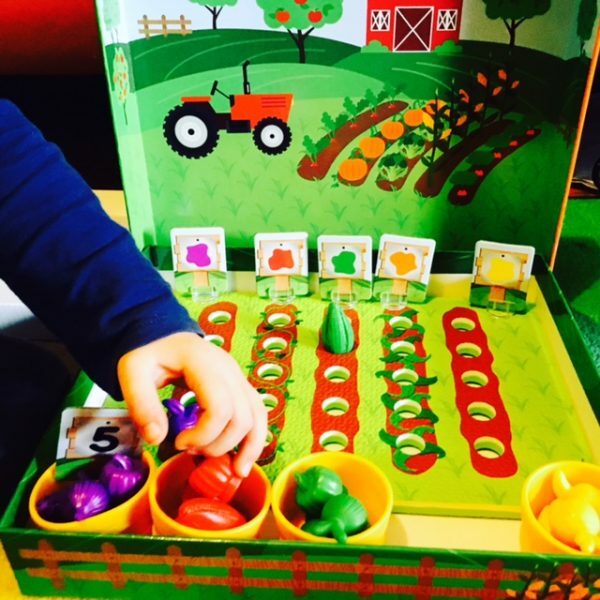 Sort the vegetables by colour, count out each type of vegetable, or match the colours and shapes to the ones depicted on the play mat farm signs. 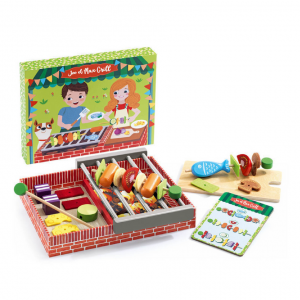 The Veggie Farm Sorting Set folds up into a convenient box for post-playtime storage or on-the-go play. Matching: Plant the vegetables in the garden, so that each row has all of one type (all the carrots in one row, all the radishes in the second, and so on). For an added challenge, place the vegetable-outline cards in the back of each row. Memory game: What Did Rabbit Steal? 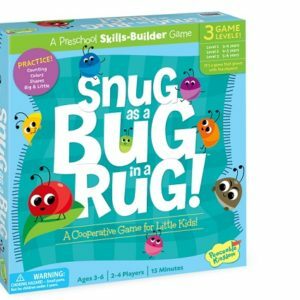 Encourage the child to fill one row of the garden, either across or vertically. Tell the child that a hungry rabbit is going to steal a snack from the garden. Then, have the child look away as you remove one vegetable. Which is missing? 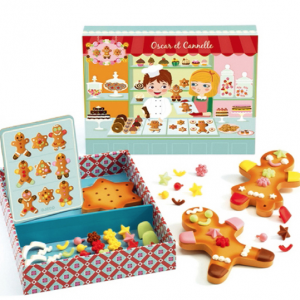 Farmer’s Market: Encourage children to role play the customer and the farmer/shopkeeper. 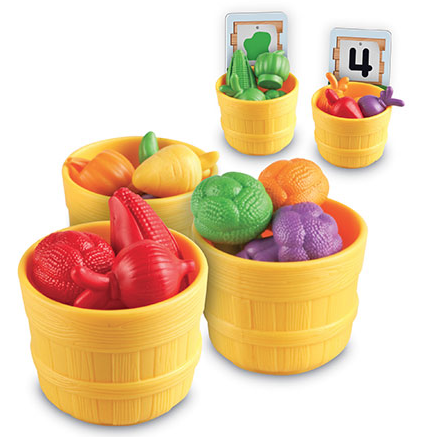 Use the number cards and vegetable pictures to prompt requests and support communication skills.